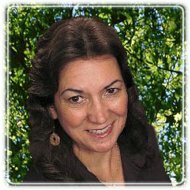 Pleasant Hill Therapist: Debbie Bauer - Therapist 94523. Send A Message To Debbie. For over 20 years I have worked with children, adolescents, and families of diverse backgrounds and lifestyles as a licensed therapist, credentialed teacher, and certificated school counselor. I am direct and empathetic, providing a safe compassionate place for teens, women, and families to work through life's challenges. I believe everyone has the potential to meet and overcome life's obstacles with the support and caring of a nurturing therapist. I work to identify and access your personal strengths and resources to help you restore stability in your life. You will feel heard and understood in a trusting space as we collaboratively explore the underlying issues and emotions that may be interfering with your ability to live a more satisfying and productive life. Whether your needs include a teen navigating the turbulent waters between childhood and adulthood, or women's issues with the range of personal life challenges that often come with little or no support, or a family struggling to live harmoniously, I can provide the necessary support and guidance to help you move through and beyond the difficult times. You are encouraged to take that courageous step today to begin making your life more manageable. I can be contacted via email at mftdebs@sbcglobal.net or by phone at (925) 437-2203. You may also view my website at www.debbiebauer.com.